By Richard Mark French, Ph.D. I think some engineers – though certainly not all; we can be real stiffs sometimes – relate to their work in a very spiritual way. I also think that the spiritual nature of their work is extremely personal, just like the spiritual dimensions of anyone else’s life. Alas, I can only tell you about my own experience. For what it’s worth, here it is. I was trained as an aerospace engineer and, for as long as I can remember, was very interested in things that flew. My first talk on the subject came in 1st grade when my teacher, Mrs. Udale, asked if I would be willing to explain the recent Apollo flight to a 6th grade class. It was 1969 and the Moon landings had grabbed the attention of the nation. News from the Apollo program was also a welcome relief from the news from Vietnam. I have no idea why Mrs. Udale asked me to do this (I was 6), but I agreed and it went fine. Looking back, I only recall making one technical mistake – I got part of the reentry process wrong. Why the class was willing to listen to me, I don’t know. Perhaps the enthusiasm was contagious. Ever since I can remember, flying, or more specifically the machines that make it possible, were irresistible. They allowed us to live in three dimensions rather than two. They took so much of what we knew about engineering and brought it all together in a form I couldn’t help but find beautiful. Even now, when I see a machine that flies, I react a little emotionally. I guess that’s spirituality in some form. As I grew and learned more, I began to appreciate more about things that flew. I learned their sounds and even their smells. Burning jet fuel – really just kerosene – has a unique smell that even now makes me think of wonderful flying machines. So what about these machines do I find spiritual? I had to become an aerospace engineer to really understand. These machines embody our aspirations and we often do our best to make them elegant and beautiful. When we get them right, they are just wonderful. I’m no philosopher, but I suppose this might be the difference between religion and spirituality. What I’m talking about is just machines. They have no existence beyond the physical, but what matters is how we react to them and what they bring out in us. 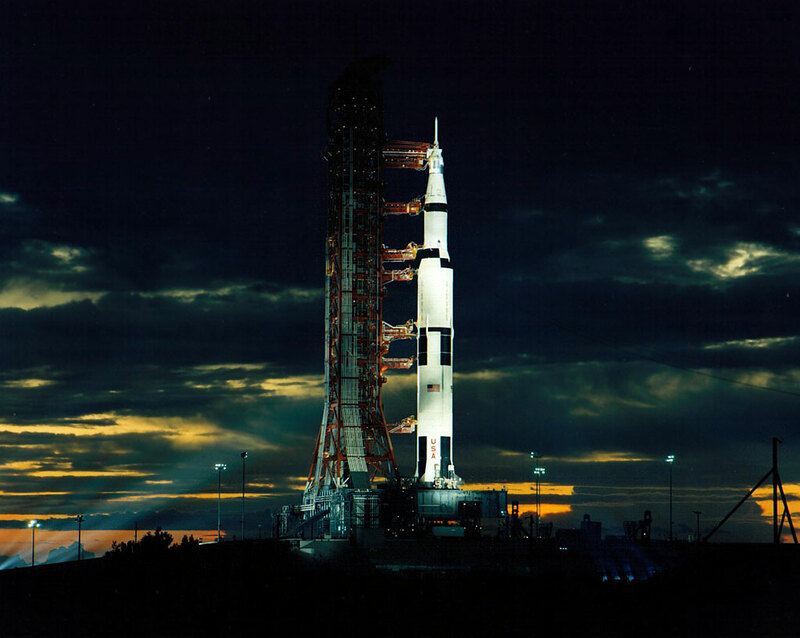 When I see a picture of a Saturn V rocket, it seems more to me than just a machine. It represents our first tentative efforts to leave the Earth. We may eventually look at this machine like we do Leif Erickson’s Viking Longship. And, of course, the engineer in me marvels at how well it eventually worked, how quickly it was built, and how capable and inspired those engineers were. I wish I could be part of something so great, but I suspect our country no longer does such grand things. An odd side effect of finding spirituality in flying machines is the ways that I react to different ones. Some are utilitarian, rather like a bus or a truck, and are just something to be noticed. But sometimes, it’s clear that people who designed one particular plane really got it right. The humble Cessna 150/152 is safe and durable; it was the plane in which I and many others learned how to fly. I just love that plane. Jon Sharp’s Super Sport class racer, Nemesis NXT. The Hawker Sea Fury (even though the horizontal tail is wrong). The Supermarine Spitfire Mk. XVI (even though the landing gear is wrong). High performance sailplanes are at the very top. They are elegant and beautiful, designed to be at one with the sky, extracting the tiny amount of power needed to sustain flight from natural air currents. A long time ago, I flew a Blanik sailplane to 11,000 feet near Black Forest, Colorado. The silence and the beauty of that flight, even though the plane was an aging trainer, created in me a memory I will never forget. To me, these flying machines represent our ability to leave the ground and to truly live in three dimensions. They mean that we can see our world from above and travel it as we like. We live differently. We think differently. We see our Earth differently. Think about what living in two dimensions really means. The Great Wall of China is nowhere more than 30 feet high. But, for a thousand years, it was an absolute barrier and only because it was impossible to get 50 feet off the ground and move about. That’s a captivating thought. Centuries after that wall was built, my grandfather came west in a covered wagon, traveling no faster than a horse or ox could walk. It must have taken months. However, I flew from Indiana to California three days ago and returned yesterday. Along the way, I saw mountain ranges, part of what I think might have been the Grand Canyon, and the Mississippi River, all in about four hours. All this isn’t mystical. It all obeys well-understood physical laws. It doesn’t require attempts to commune with some spirit. Just the same, I think it is spiritual. The fact that the physical laws making all this possible seem somehow to be woven into the fabric of creation is enough for me.